Warehouse Management Systems (WMS) represent a major investment in your supply chain and operational efficiency. While it can be difficult to guage your estimated time to value, these four case featuring enVista clients showcase outcomes after successful WMS implementations. Leading the market of health and natural foods distribution, Nature’s Best serves Certified Organic products to over twelve states. Nature’s Best was experiencing high labor costs based on time and manpower to transport temperature-controlled food products between four buildings on its DC campus. The company’s zones were organized to suit either small or large clients – a key competitive differentiator. Because of the facility layout, the overall distribution process was inefficient; each product was touched 18 times on its way to the customer. Nature’s Best technology, distribution processes and buildings also needed updating to keep pace with growth projections. enVista was called upon to address and resolve the challenges Nature’s Best was facing and did so using its Consult, Implement and Operate (CIO) methodology to create a customized solution. A supply chain strategy that met Nature’s Best’s business goals was developed. enVista conducted a material flow analysis and redesigned the internal flow processes to increase efficiencies. As a result, a global WMS was selected that addressed all of Nature’s Best’s concerns and determined construction needs for the DC. Operations would be consolidated to one DC, and enVista designed the new facility with various temperature-controlled zones. As Nature’s Best began construction, enVista supervised the integration and implemented a Manhattan Associates WMS including interface design, configuration, training, facility preparation, and labor standards among other features. Nature’s Best shifted from a mechanized to non-mechanized system and from paper to radio-frequency (RF) devices with voice-based technology. enVista managed the move of $25 million of inventory and trained the company team on new system processes. During go-live, enVista ensured a seamless transition into Nature’s Best new facility, systems and processes. Throughout the Consult, Implement, and Operate phases, sales were steady – even growing – and upon completion, the project was delivered on time and in budget. The chosen system required few modifications for Nature’s Best's business model, which would lower costs and allow for easier upgrades in the future. The new system reduced labor costs by over 30% and more than doubled productivity. Ninety-seven percent of full-time employees were retained, and temporary and non-value-added positions were eliminated. Nature’s Best went consultant-free only four weeks after go-live. Performance Bike is a privately held, specialty retailer focused on bicycles and accessories. The company had expanded to over 110 retail locations since its founding in 1982. Performance Bike had a DC in Chapel Hill, NC, with over 60 associates and partners with a 3PL in Long Beach, CA. Due to compliance issues with the US Postal Service barcodes, Performance Bike had to make system changes to its Manhattan PkMS WMS. The company’s experience with Manhattan Associates gave it a flexible approach when considering an upgrade. enVista’s enABLE methodology was used for the upgrade, and many of the roles typically filled by software or consulting companies were completed by Performance Bike. Because of the prior experience and flexibility of Performance Bike and enVista, the WMS implementation was under budget and on time. Team members from both enVista and Performance Bike worked together to complete and implement the WMS. The Vice President of Warehouse Operations for Performance Bike noted enVista’s customer-centric approach and flexibility. The WMS upgrade was implemented in less than 6 months. There were very minor changes to the user experience, so trainings were seamless and increased productivity. Performance Bike experienced a pick per hour increase of 50 to 100 units per hour, exceeding the company’s executives’ expectations. Bradshaw International’s Good Cook™ brand is sold in over 30,000 US retail stores. Bradshaw is a leading marketer of kitchenware products and launched Good Cook to incorporate quality, value and service into every product. This philosophy has allowed Good Cook to achieve the best position for kitchen tools and gadgets with 43% of the market. Bradshaw was asked to participate in Wal-Mart’s Direct Store Delivery Consolidation (DSDC) program as Good Cook is distributed in the stores. The program was designed to allow shippers to directly replenish Wal-Mart stores in less-than-case-pack quantities. To do so, Bradshaw had to make changes to several parts of its current distribution systems. Changes to EDI, order management, and a pick/pack operation integrated with a new WMS would be required to handle the new variable volumes. enVista was asked to help design and integrate the DSDC program. To meet Wal-Mart’s DSDC objectives, the team had to design and build a new pick/pack module, select the technology to be used by the picking team, and integrate it with the WMS. The order management system, EDI software and billing system had to be modified to accommodate the structures required by Wal-Mart's DSDC program. The team profiled SKU movements, identified pick and storage mediums to model replenishment rates, and formulated labor plans and proper work flows. Bradshaw IT and enVista worked together to make configuration changes to the RedPrairie WMS and integrate it with the Pick from Light System and EDI software. 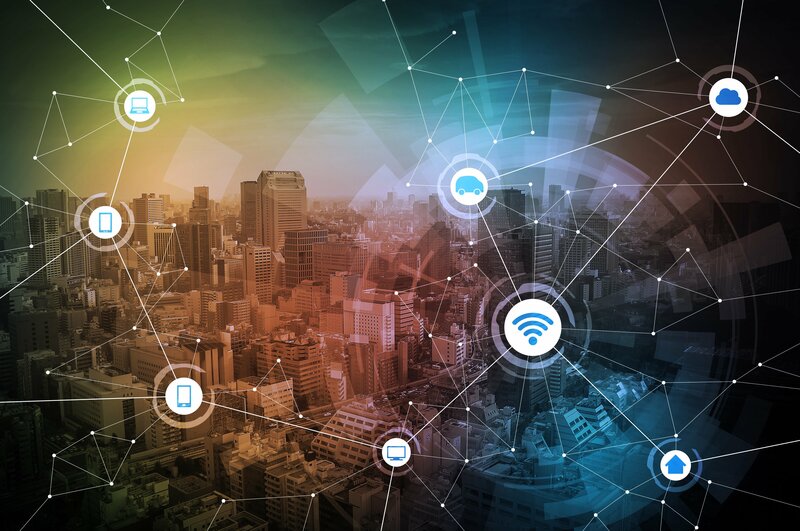 The joint team also specified data maps from order capture to order management to WMS through EDI transmissions to move the infrastructure to industry standards. With enVista’s help, Bradshaw successfully integrated the DSDC program into operations. Shipping volumes increased beyond expectations, but the new WMS has allowed Bradshaw to keep up with demand. The program was implemented with almost no customer disruption. Founded in 1973, Men’s Wearhouse is one of North America’s largest specialty retailers of men’s apparel with over 1,200 stores. The stores carry a full selection of high-end men’s clothing and accessories. Men’s Warehouse’s main distribution center (DC) was a 1.1-million square foot facility in Houston, Texas. It is the core retail distribution center for Men’s Warehouse retail stores, as well as 60% of merchandise from K&G Retail stores, acquired in 1999. A significant percentage of its garment-on-hanger merchandise is shipped by dedicated fleet to regional hubs across the country. enVista's main objective was to consolidate retail and e-commerce systems to run all operations on a single platform and a central material handling equipment (MHE) integration point. enVista acted as the program management role for supply chain execution and MHE software functions for all facilities. The implementation of the new systems platform occurred in two distinct phases. The first phase focused on using the new systems platform to more efficiently meet Men’s Wearhouse’s growing e-commerce business needs. A new WMS and Distributed Order Management (DOM) system were implemented and integrated to an e-commerce web platform. These systems allowed strategic decision making regarding e-commerce order fulfillment and room for growth, along with the accuracy and flexibility necessary for seamless execution and delivery. Phase two focused on implementing the new WMS and a consolidated Warehouse Control System (WCS) in Men's Wearhouse's Retail Distribution Operation. The WMS replaced the retailer's legacy system, and the WCS consolidated the management of several operations into one system. Men’s Wearhouse now has the ability to dynamically change product flow, unit allocation, and achieve more effective utilization of Case Level ASN receiving with the new WMS. The system’s ability to recognize and execute on cross-docking opportunities created improved throughput and lower overall processing costs. With the implementation of a common WMS and standardized processes, Men’s Wearhouse was able to share recourses across operations and respond to seasonal increases in workload more effectively. The implementation of WMS and WCS gives the company the ability to consolidate its distinct Men’s Wearhouse and K&G distribution operations to reduce costs and increase overall processing efficiency. Getting your WMS right and making sure it's integrated properly across your supply chain technology stack is critical to realizing quick ROI and improved operational efficiencies. enVista has completed 150+ WMS projects in the last five years, and our vendor agnostic approach to consulting and implementation ensures you get objective help for your most critical projects. We're passionate about supply chains and delivering solutions that are the right fit for our clients and would love to help you optimize your supply chain. 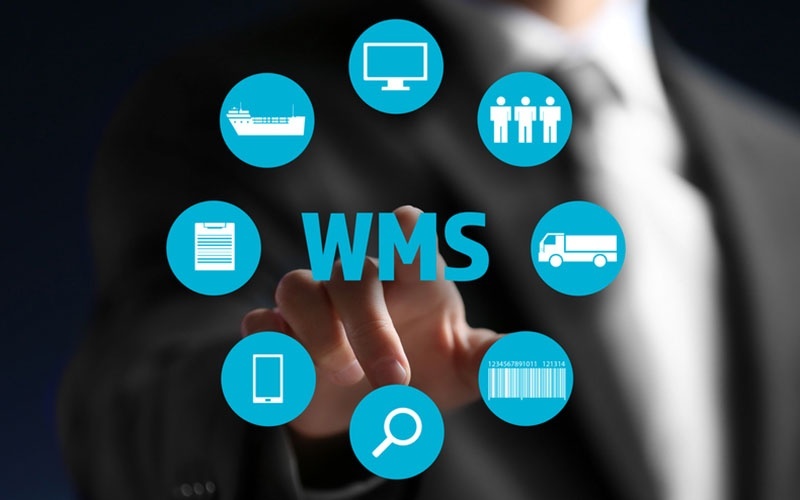 If you have a WMS project on the horizon or want to learn more about how we can help you, let's have a conversation.